April 28, 2017 – Variety. 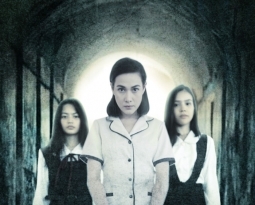 UDINE, Italy – Singapore-based Aurora Media Holdings, an investment outfit with Hollywood ties, has inked financing and production deals for two upcoming Southeast Asian pics during Focus Asia, the new genre-focused project market and industry platform being held at the Far East Film Festival in Udine, Italy. Aurora Media has boarded Indonesian black comedy “Abracadabra,” which turns on a magician who finds women inside his magic box, to be helmed by Faozan Rizal (“Habibie & Ainun”). They will also invest in supernatural drama “The Long Walk” by Laos’ Mattie Do, about an old man who travels back in time to the moment of his mother’s death. Do is Laos’ first female director. “The Long Walk” is her third feature after chillers “Chanthaly” and “Dearest Sister,” which earned her international recognition. “Abracadabra” will topline Indonesian megastar Reza Rahadian. 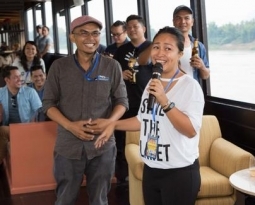 “Faozan and I are happy to be co-producing ‘Abracadabra’ with Aurora Media, and we’re looking forward to take our film to the next level creatively and commercially by being part of this regional co-production,” producer Ifa Isfansyah said in a statement. 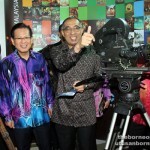 Isfansyah is also a prominent Indonesian director. “Abracadabra” is an Indonesian-French collaboration. The French producer is Isabelle Glachant. “The Long Walk” initially surfaced as a project at the 2015 edition of Singapore’s Southeast Asian Film Financing Forum before being selected for Macau’s inaugural Crouching Tigers Project Lab in 2016. “Walk” is being produced by Douangmany Soliphanh and Annick Mahnert. “While we’ve invested in content around the globe, an important part of our fund’s DNA has always been primed to engage and invest in Southeast Asian talents and producers,” said Justin Deimen, Group Managing Partner of Aurora Media Holdings. Deimen, who also serves as executive director of the Southeast Asian Audio-Visual Assn., which represents media investors and creative producers working in the region, praised the Focus Asia projects on display. “The selections made this year have been stellar, and we’re looking forward to seeing Focus Asia grow in influence over future editions,” he said. Aurora Media has a multi-film development and production financing agreement with Los Angeles-based global sales and marketing agency Kathy Morgan Intl. Their previous regional investment was in the faith-based sports drama “100 Yards,” a co-production between Singapore, the Philippines and the U.S.
Udine, which is Europe’s biggest showcase of genre and mainstream Asian cinema, this year is stepping up efforts to become a bona fide market and conduit for genre movie co-productions between Asian and European film producers. Focus Asia, a curated co-production platform, features projects in early stages from 13 countries on the two continents. They are being presented to some 100 sales agents and other industry execs from companies including XYZ, Media Asia, M-Line, Showbox, Wild Bunch, Reel Suspects and M-Appeal.